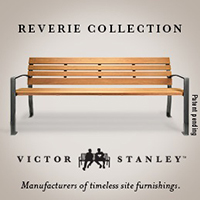 VICTOR STANLEY, a leader in quality site furnishings, helps you bring your visions to life. From benches and bike racks to smart litter receptacles, which use our Relay Sensor and Service to enable efficient collection routing, we meticulously design, engineer and manufacture every detail to ensure our site furnishings will withstand the test of time. Founded over 54 years ago, we help create a place for people to gather, live life and make timeless moments. Our mission is to design and manufacture beautiful, comfortable outdoor furniture that helps communities come together. 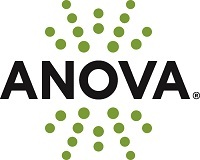 For more than 40 years, Anova has been an innovator in site furnishings. We introduced aggregate panels in the 1970s. We patented coating technologies in the 1990s. And in the 21st century, Anova continues to push the envelope on total value, from design to manufacturing. Nussbaum Group makes projects run smoothly by collaborating with landscape architects, clients and project team members to construct and organically maintain the most exceptional landscapes in the Paciic Northwest. Our core values are formed around Collaboration, Quality, Success. While we do not design landscapes, we do everything else necessary to ensure the realization and perpetuation of the design concept. Abbotsford Concrete Products welcome you to the Aristokrat® Series, our latest HyrdaPressd Slab. This 2cm Porcelain Slab delivers style, performance & versatility, and is available in 6 different sizes and over 20 rich color blends which are further complimented with matching Stair Treads and Bullnose Coping. Pacific Earth Works, Inc. is an award winning landscape construction company that was established in 1978. We specialize in "select bid and referral" commercial and high end residential projects. We are certified in seven different Green Roof applications. We do installs only, NO design work to compete against you. 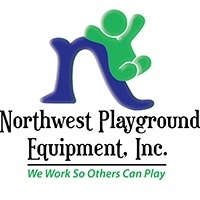 Since 1991, SiteLines has been helping you create some of the most creative and imaginative play spaces in Washington using the highest quality GameTime standard and custom equipment. Look to SiteLines to help create better community recreation destinations including playgrounds, site furniture, athletic equipment covered shelters and more. Site furniture created to inspire, made to last. For more than 30 years, Equiparc has been helping to make public spaces more beautiful by manufacturing site furniture that goes way beyond the utilitarian. Combining good design, quality and durability, our benches, tables, planters and other pieces add warmth and conviviality, enlivening everyday’s life. As public spaces and parks are regaining popularity, no challenge is too ambitious or too modest for Equiparc. Equiparc offers a variety of site furnishings designed by reputable designers as well as customized products specifically made for your projects.Our reputation as well as our mission can be defined in three words:Design, Durability, Expertise. Enlivening everyday life no matter where! Pacific Lighting Systems is a sales and service organization that specializes in providing its customers with excellent product knowledge, lighting and lighting controls assistance, mockups, project management and quotation services.